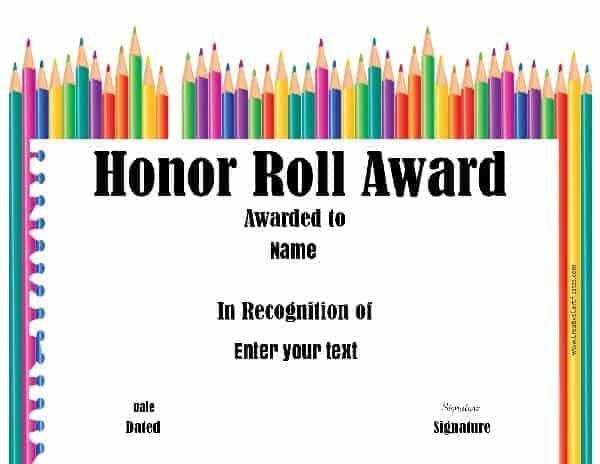 Free printable honor roll certificates that can be customized before you print! 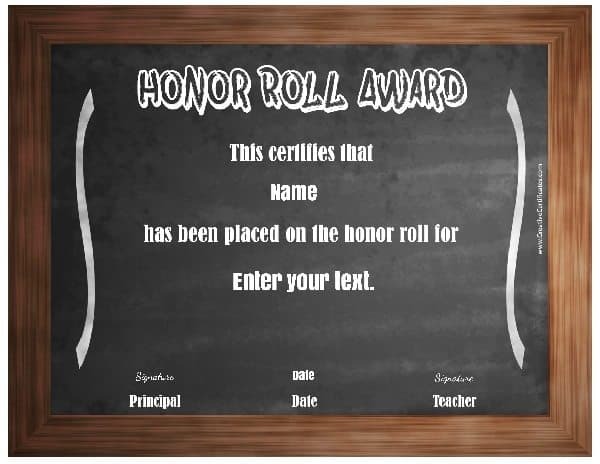 Select an honor roll certificate template from the selection below and click on “customize” to type the details such as the student’s name, name of school, teacher’s name, reason for receiving the award, etc. Once you have customized the certificate, you can download it as a PDF document or as an image. 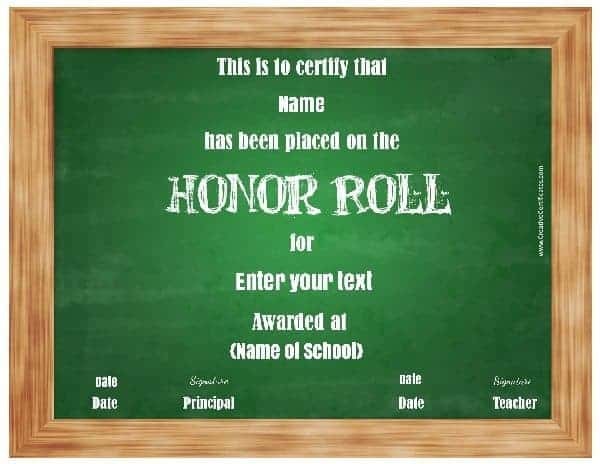 What can honor roll certificates be used for? 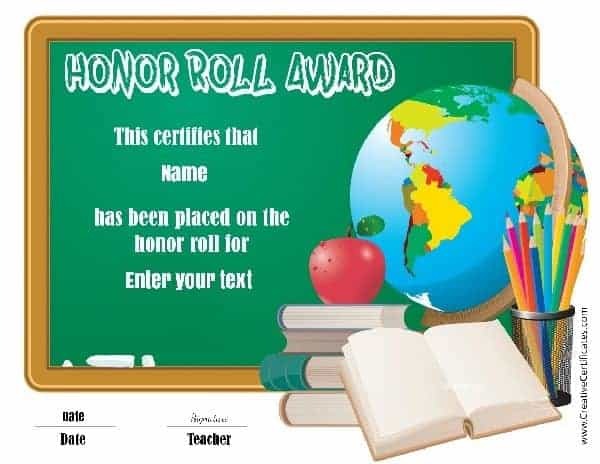 Schools and teachers can use them to award students for academic achievement. 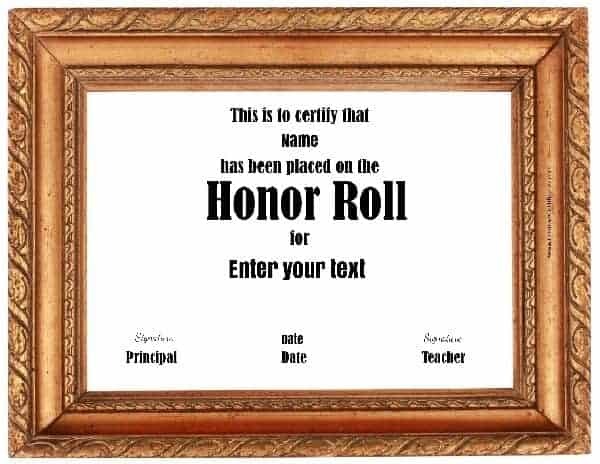 Proud parents can use them to award their children for being on the honor roll. 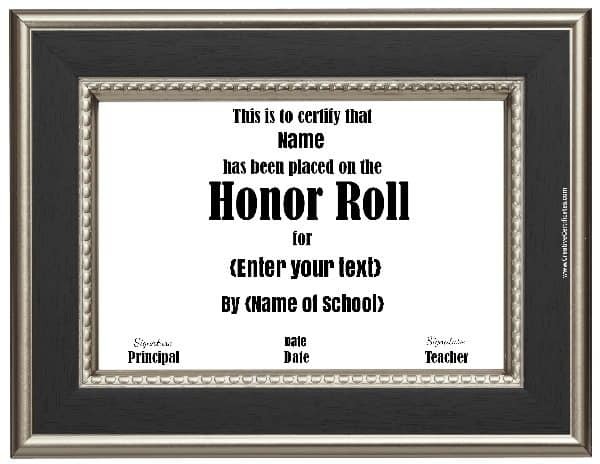 To recognize students on the honor roll for their academic achievement. 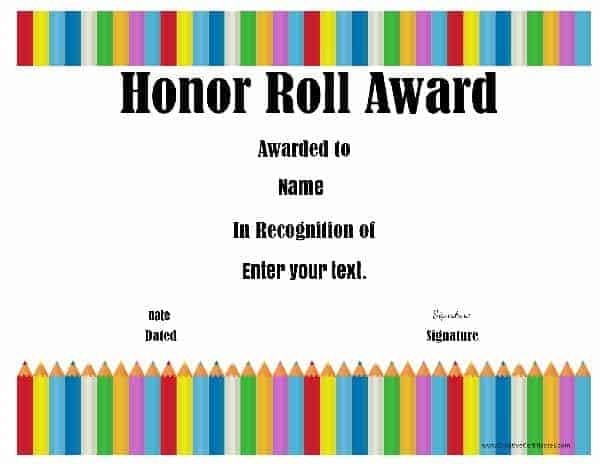 To award students enrolled in honors courses or honors program. For all students who are members of an honor society.